frank gehry architecture….i’m not a fan. frank gehry wiggle stool….love. 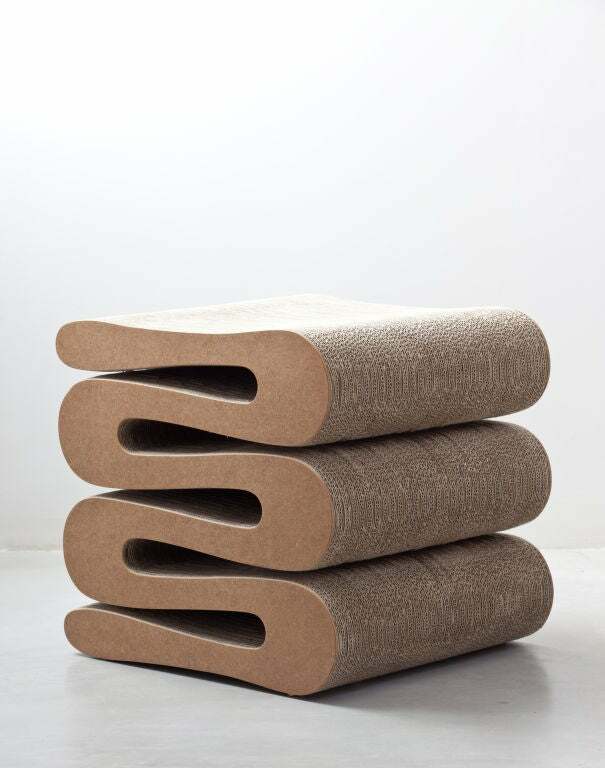 the 1970s ‘easy edges’ stool is one of the furniture series’ made of corrugated cardboard. she’s a great accent piece that brings to mind something warm and ethnic. but beware. not such a great idea if you have felines in the house.